Published By – Joni Mitchell Publishing Corp.
All songs published by NPG Music Publishing LCC., adm. by Universal Music Works (GMR) except where indicated. All songs published by NPG Music Publishing LCC., adm. by Universal Music Works (GMR). page 11: © 2018 NPG Records, Inc. I liked the first playing of Piano & Microphone very much and I played it (oh miracle) three times in a row. Something I haven't done since crystal ball. I also often thought about (to hear) Jamie Starr. 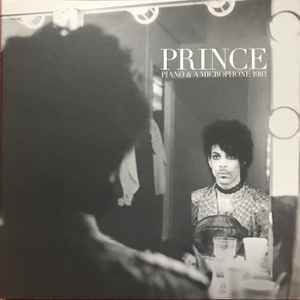 Since I had not much heard the bootleg before, after 20 years it's finally a release Prince portrayed the Prince that hooked me back then.